Whether you’re in Chicago for a few days or a few weeks, there is no shortage of things to see and do in The Windy City! With Air New Zealand’s new direct route beginning in November, Chicago is now more accessible than ever before and is definitely not a city to be missed! Here are 10 must-do’s when visiting The Windy City. You can’t go to Chicago and not have deep dish pizza - just like baseball and hotdogs, it’s one of the things that all Chicagoans hold very near and dear to their hearts! Deep dish pizza is unapologetically excessive - buttery crust, chunky sauce and oozing with mounds of fresh mozzarella, basically all things that make you say YUM! If you ask any person from Chicago where to go, you will hear either Lou Malnati’s or Giordano’s. 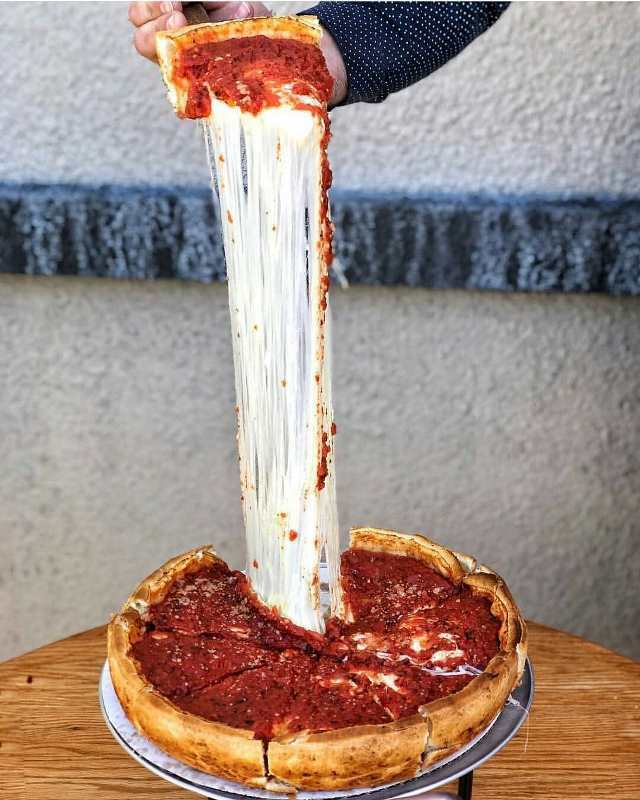 And yes, the Giordano’s vs Lou Malnati’s debate is a real thing and actually quite intense as Chicagoans stand very loyal to their trusty go-to deep dish restaurant. So the BIG question is - where is to go? I say give both a go and decide for yourself, it all comes down to personal preference. After all, it’s a good excuse to eat more delicious deep dish pizza - enough said! 2. Get a hot dog - Chicago style! Just like deep dish pizza, having a traditional Chicago-style hot dog is also a must! 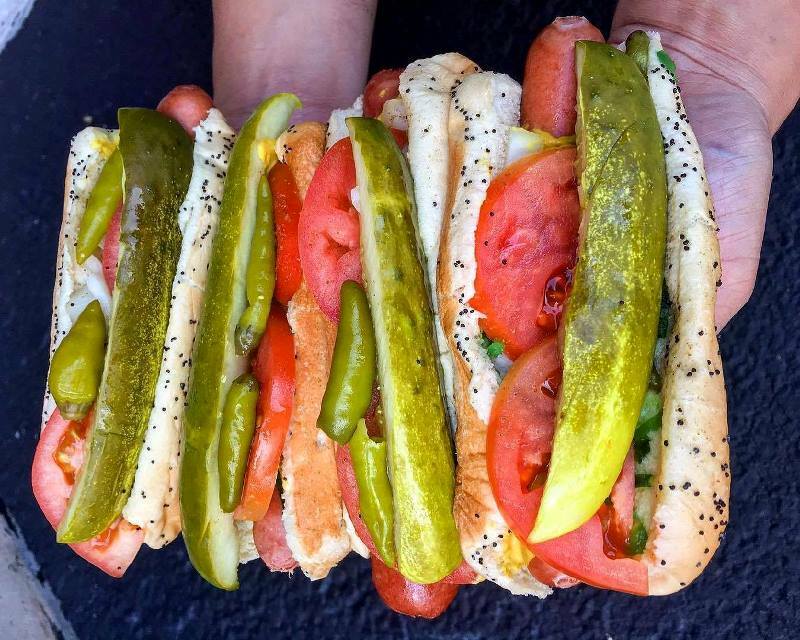 A traditional Chicago-style hot dog is a frankfurter in a steamed poppy seed bun, topped with yellow mustard, raw chopped onion, sweet pickle relish, a pickle spear, tomato slices, celery salt, pickled sport peppers and most importantly, NO ketchup. In terms of where to go, you can’t go wrong with Portillo’s. Although it’s a chain, the delicious taste and quality makes a trusty Portillo’s dog a go-to. Superdawg is a funky retro drive-in that hasn’t changed much since opening in 1948. It is definitely one of the coolest spots in Chicago to go to for a hot dog! Or if you’re up for some good banter and a late night feed, go to Weiner Circle. Just be prepared if you’re a sensitive soul as it makes for a fairly crude dining experiences. People from Chicago are extremely passionate about their sport - ice hockey, American football, you name it, but nothing compares to a Chicagoans passion for baseball. Again, here comes another Chicago debate, Cubs or White Sox? Cheering for both Chicago teams is just simply not done. 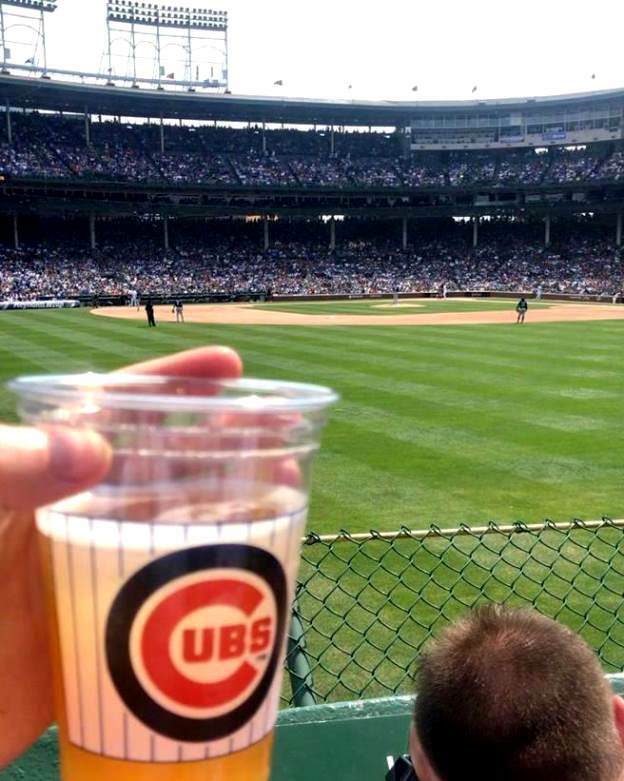 But for an iconic Chicago baseball experience, a Cubs game at Wrigley Field is the place to go! Wrigley Field is the oldest National League ballpark in the USA and is one of America’s most iconic stadiums. The surrounding bars of Wrigley Field are also worth the visit. Be sure to grab a drink and bite to eat before or after the game, the atmosphere will not disappoint! 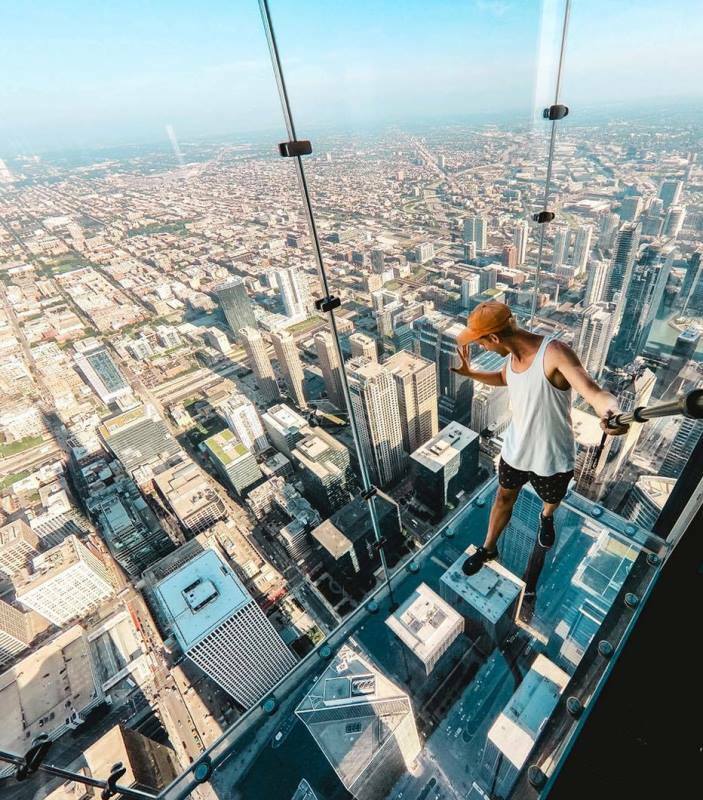 Chicago is the birthplace of the skyscraper, so it only makes sense to make the most of the fantastic views from them! It’s no doubt that the Skydeck at Willis Tower has some of the most stunning views of Chicago. The glass floor definitely is an added bonus to give you that extra surreal feeling you’re floating above the city and makes for a fantastic photo. Just be prepared as the Skydeck gets extremely crowded and costs $24USD for entrance. If you’re looking for a great alternative, luckily enough, Chicago is a mecca of rooftop bars! Many offer similar gorgeous skyline views of the Windy City, and bonus is, you can enjoy the views with a bite to eat and a drink in hand! 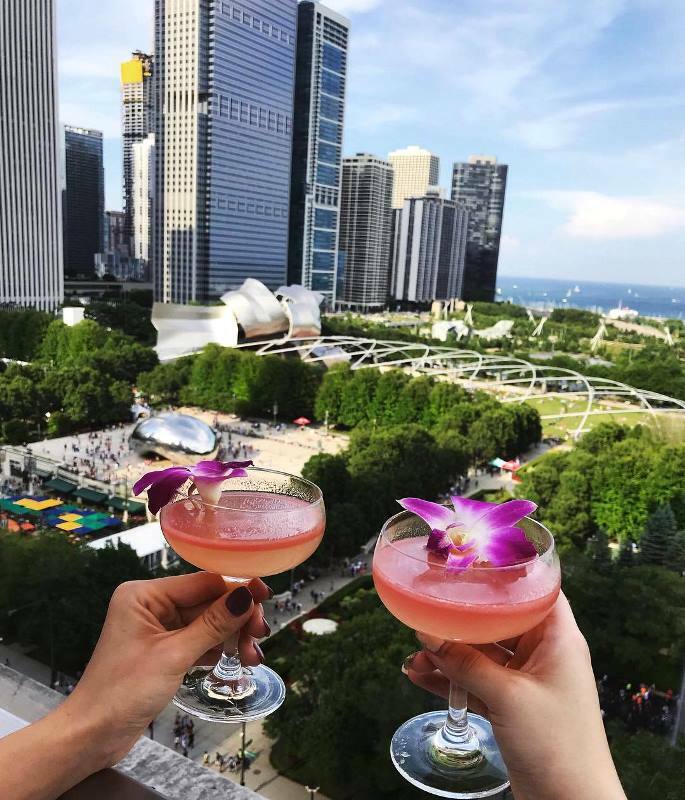 Chicagoans love a good rooftop bar and when summer hits, there’s no better way to enjoy the sunshine than by sipping a cocktail and enjoying the views! Overlook Millennium Park and the Bean from Cindy’s, or you’ll find many locals and great views of Lake Michigan from The J. Parker, or look down onto the Chicago River and the iconic “Corn Cob” Marina Towers from LondonHouse. Rooftop bars aren’t only for summer though. Although the Chicago winters can be brutal, the Godfrey Hotel rooftop comes to life as a winter wonderland with festive decor, fire pits, s’mores kits, winter-themed cocktails and the best part, cozy rooftop igloos! 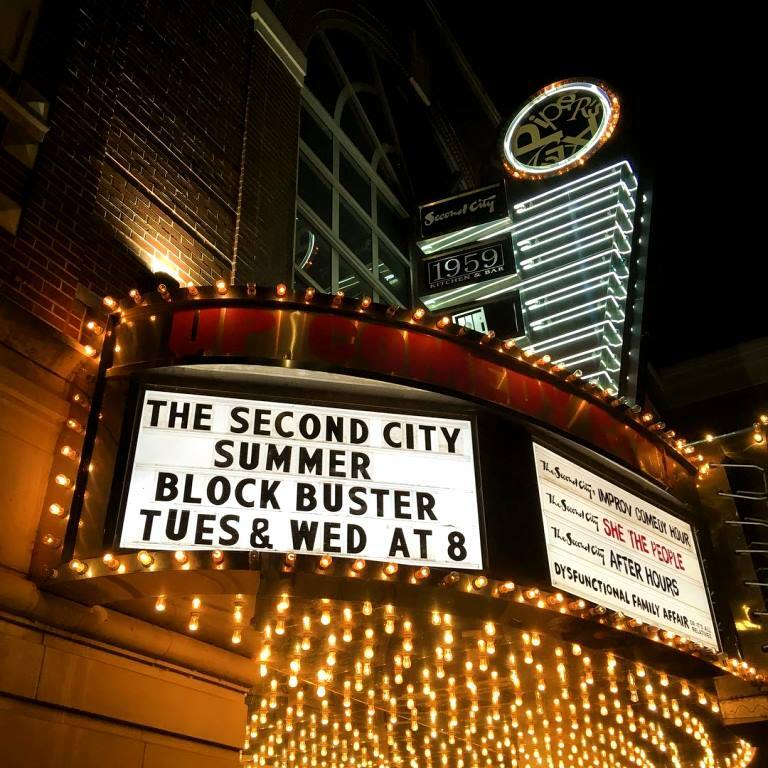 No trip to Chicago is complete without a visit to a comedy show at The Second City. The world-famous comedy club has been the starting point for many big stars careers including the likes of Tina Fey, Steve Carell, Bill Murray and Amy Poehler! It doesn’t get more iconic in the comedy world than this, so be sure to catch one of their shows 7 days a week. One of the best parts about Chicago is the lakefront! The lakefront is not your typical lake through. Lake Michigan is almost a whopping 500km long and looks more like an ocean rather than a lake! 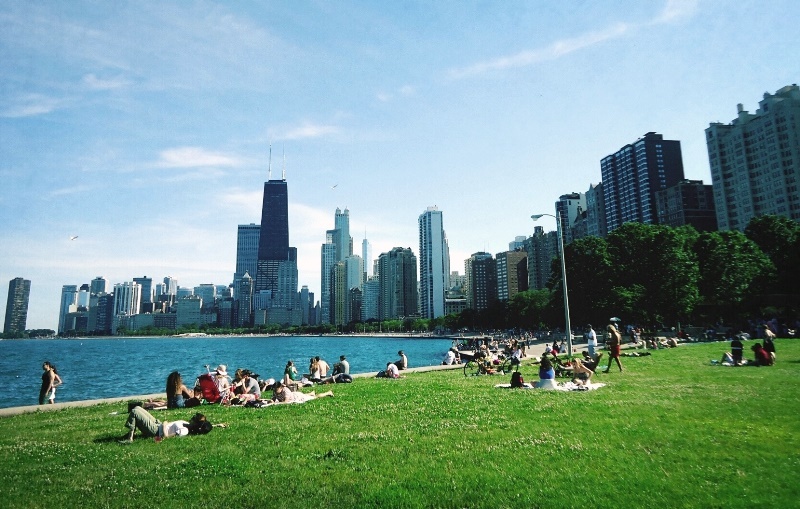 Spend a nice sunny day in Chicago by making the most of the 29km lakefront path. The path is perfect for biking, strolling, running, rollerblading or accessing a variety of playgrounds and dog parks. All along the path you’ll have easy access to beaches and great spots for paddle boarding, kayaking and swimming. Plus win-win, you’ll be doing a free physical activity with some gorgeous skyline views! Similarly to the Lakefront Trail, The 606 is another fantastic way to enjoy the sunshine and explore the city! The 606 equates to what the Highline is to New York City. Opened recently in 2015, The 606 is an old railroad track converted into a trail and rises over 5 metres above street level. It now serves as a popular place to walk, jog and bike and features scenic lookout points, art installations, an event plaza, ample green space and six ground level parks. 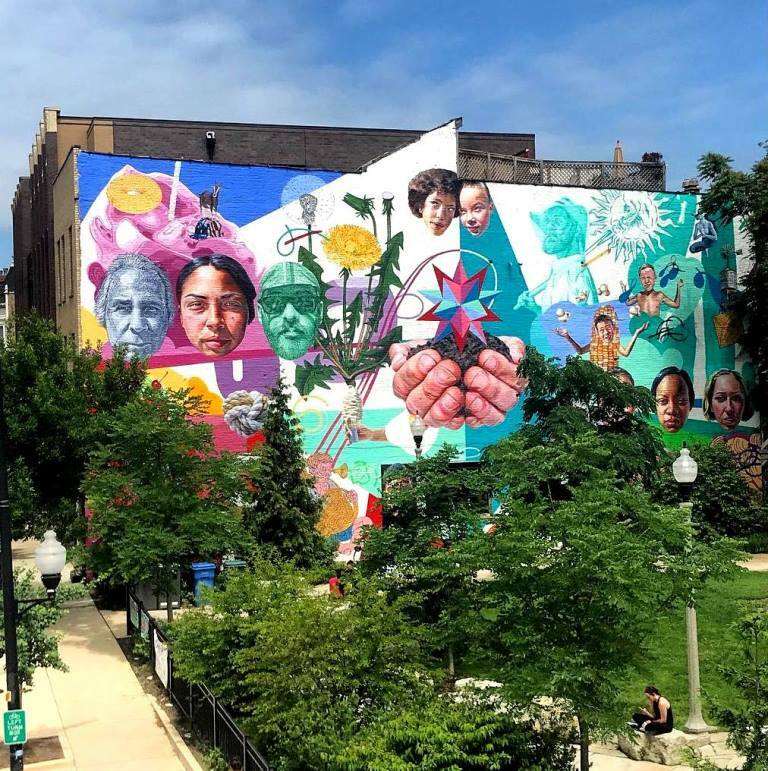 It’s the perfect way to explore some of Chicago’s more trendy and vibrant neighbourhoods full of hipster bars and cafes including Wicker Park, Bucktown, Humboldt Park and Logan Square. Spend a rainy day at one of Chicago’s many world-class museums. 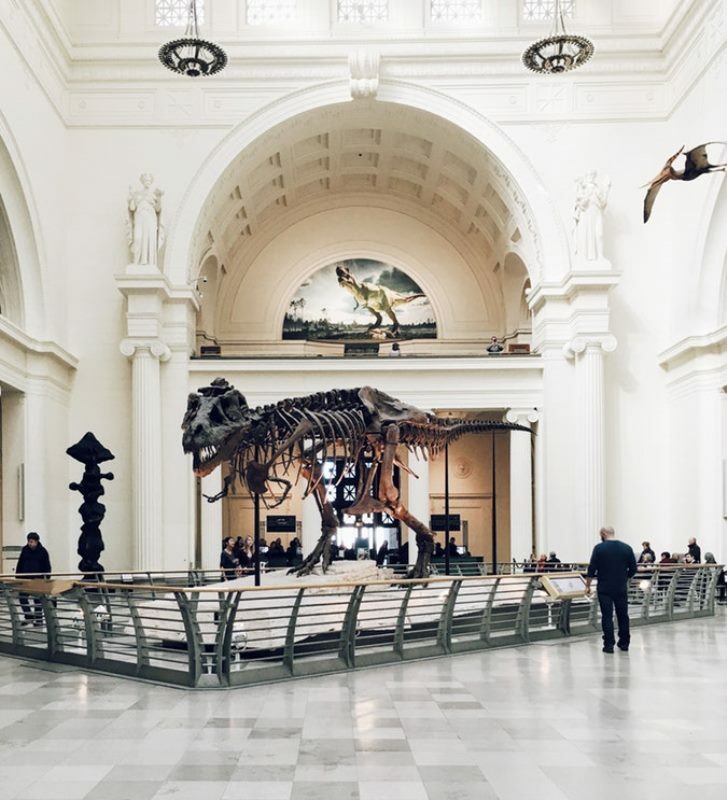 Visit the Field Museum to wander between dinosaurs and ancient Egyptian tombs or bring out your inner geek at the Museum of Science and Industry and explore one of the world’s largest science museums! If you’re a bit of an art enthusiast, the world-famous Art Institute of Chicago is must go, and is one of the oldest and largest museums in the USA. With such a wide variety of exhibitions, from photography, architecture, contemporary art and iconic paintings from the likes of Van Gogh and Monet, there’s something for everyone! For something different, visit one of Chicago’s more unusual museums (to say the least), such as the Video Game Art Gallery, the International Museum of Surgical Sciences, the Button Museum and of course the best museum yet, the Foodseum - where you not only get to learn about the food but get to taste it and the first exhibit features the Chicago hot dog, sold yet!? Of course, if you’re in Chicago a trip to Millennium Park to see the iconic Bean is a given! But after you get your “Bean there done that” Insta pic, be sure to explore all that Millennium Park has to offer. Year round, there’s always something going on! Millennium Park plays host to various art installations and sculptures, outdoor concerts, film screenings, free fitness classes, tours, cultural events and even an ice skating rink in winter! 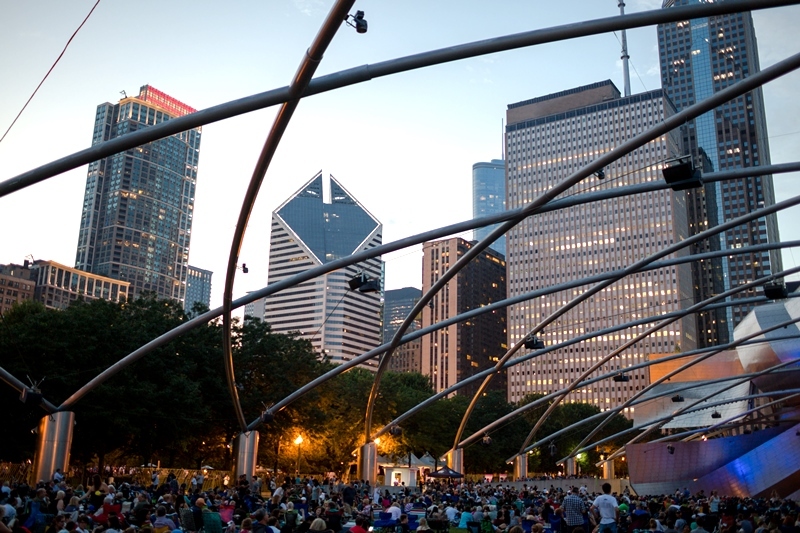 During summer, lay down a blanket and watch a free flick at the Jay Pritzker Pavilion every Tuesday at 6.30pm, or catch a free weekly concert at the Pavilion on Mondays and Thursdays. In the winter, Millennium Park turns into an ice skating rink and if you have your own skates, it’s also completely free. Ice skating doesn’t get much better than being in the middle of downtown Chicago surrounded by city lights and amazing Christmas vibes!